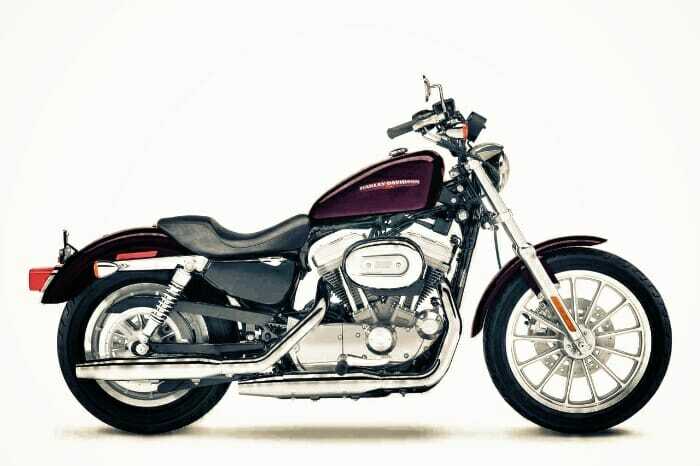 The Sportster is the perfect bike for riders of shorter stature, or those who are a bit nervous about the bigger Harleys because of their greater size and weight. The Sportster is thinner in the middle than the Harley Big Twin models, which means that the rider’s legs are not spread out as wide when seated with feet on the pegs. This, combined with the low seat height (26.5 inches on the 883 version), means it’s easier to get both feet on the ground. And the lighter weight means the bike provides lively, responsive handling compared to the bigger bikes. That said, this is not a comfortable bike for pillions, certainly not for longer rides. And more advanced riders will find the power a bit lacking compared to the bigger Harleys. There is also very little weather protection on the Sporty, so it’s imperative the rider brings the proper gear (full faced helmet, rain gear). One of the fastest growing segments of EagleRider’s customer base is women riders, many of whom are doing guided tours for the first time. The Sportster is a top choice amongst these women, and on EagleRider’s Route 66 Guided Tour especially, we see quite a lot of ladies enjoying their Sportsters.